The revolutionary nutrition & fitness programme. Would you like the support of a positive, like minded and proactive community? 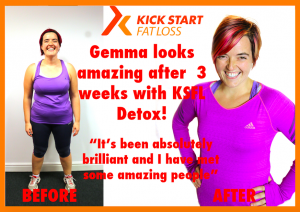 Kick Start Fat Loss Club is a revolutionary new programme consisting of an initial detox diet plan, ( the detox is nothing to be scared of!) weekly club workout and daily online support. 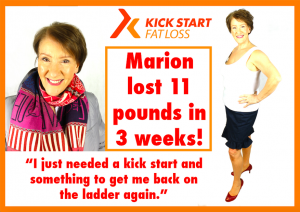 Drop a dress size or more, burn body fat, shape up and slim down, there is no calorie counting, daily points, faddy foods or complicated workouts. 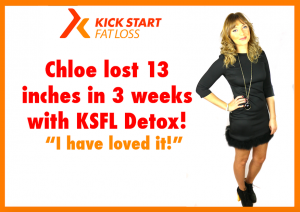 KSFL consists of a healthy, easy to follow diet and detox plan, eliminating addictive processed food, detoxifying the body enabling you to burn more fat, have lots more energy, become slimmer, leaner and mentally on top of your game. Get your nutrition right and there is no stopping you! You feel and look years younger. Niggly health issues and conditions diminish, radically improve or disappear completely. 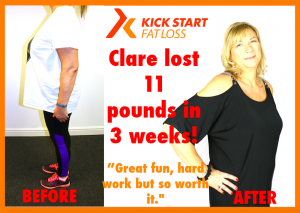 Kick Start Fat Loss is not JUST about losing weight it’s about being the very best version of you mentally and physically. Habits and a lifestyle not just for you but for your whole family to adopt for the long term. Weekly Weigh in, Measure and Body Stat recording. 30minute Fat Burning HIIT Workout – Research shows you don’t have to work out for hours at a time for the best results. 30minutes of the right exercise intensity will burn more body fat than hours of cardio or endless hours at the gym. 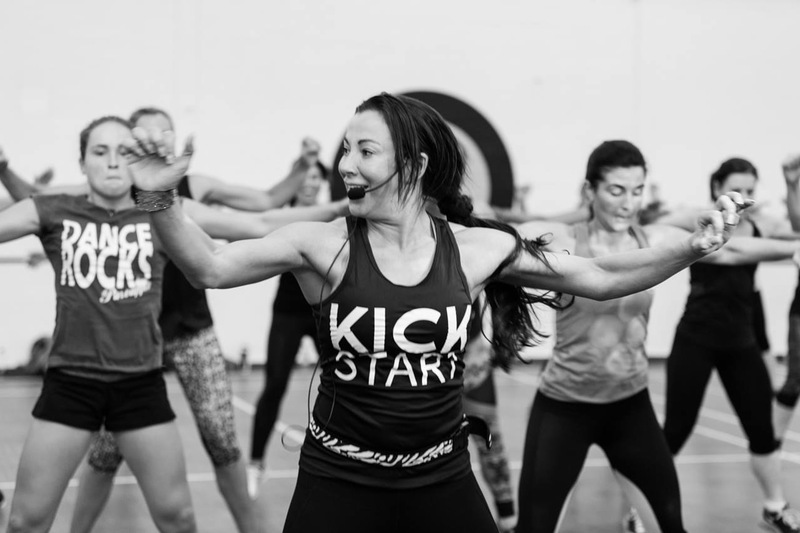 The KSFL workout is not dancy or complicated it is an all ability interval workout with rest and recovery periods, perfect for beginners and regulars. 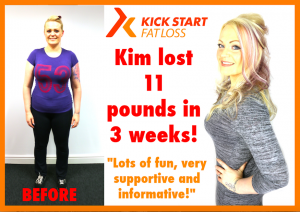 15 minute educational and motivational group talk – Understand the KSFL diet plan, meal and recipe ideas, PLUS Confidence coaching keeping you on track and motivated. 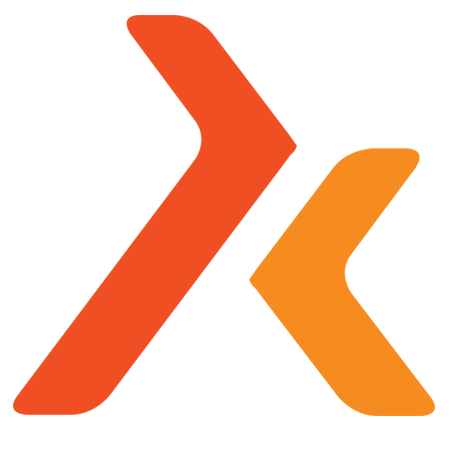 Online workouts, meal planners and recipes, so you are fully supported every day. 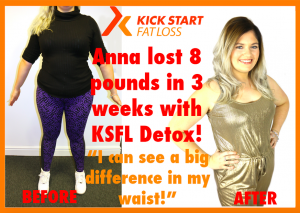 Knowledge is power and KSFL will help you cut through the weight loss confusion with totally up to the minute diet and workout plan – Become an informed consumer. To get the desired results a combination of correct nutrition, exercise at the right intensity, mindset coaching and motivation. KSFL combines all of these crucial ingredients for your success. All delivered in a friendly, supportive and positive group. Live the life you really want and feel amazing! Online support, motivation and help.